Monica (left) with a student. 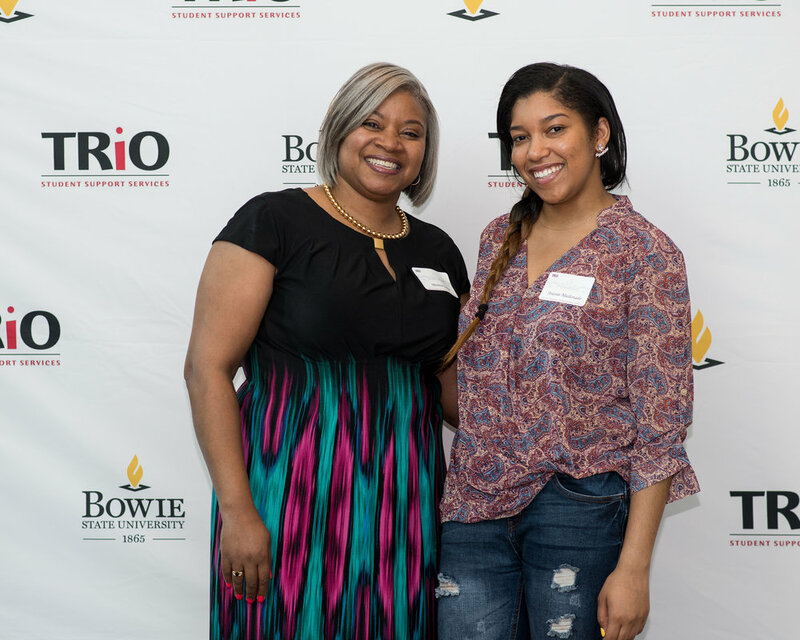 An experienced administrator and educator, Monica Turner has led Bowie State University's TRiO Achiever's program since 2002. During her time as a Director, she has developed a number of learner-centered initiatives, including the Summer Experience, an integrated pre-college summer program; Scholars Studio, a problem-based learning community; and the Faculty Think Tank, an interdisciplinary faculty learning community. She has taught the Psychology of Learning and Freshman Seminar and continues to use her experience as a leader and educator to help students and colleagues realize their potential. Monica has written several grant proposals that have brought more than four million dollars to the University. She holds a Master's degree in School Psychology from the University of Maryland--College Park and a Bachelor's degree in History/Politics from Drexel University. Lisa (second from right) with colleagues. Prior to accepting her current position at Bowie State University (BSU), Lisa Nardi taught Composition, Literature, Creative Writing, and ESL in Maine. During her time at BSU, she has worked with Monica Turner to create empowering learning experiences for students, including the Summer Experience, an integrated pre-college summer program; Scholars Studio, a problem-based learning community; and the Faculty Think Tank, an interdisciplinary faculty learning community. She has presented findings from these programs at a variety of national pedagogy conferences. Lisa holds a B.A. in English from The University of Findlay, an M.F.A. in Writing from Vermont College, and she is currently pursuing a Ph.D. in Education Policy--Curriculum Theory and Development from the University of Maryland-College Park. She is a qualitative researcher with interests in transformative pedagogy, access institutions, retention theory, and decolonizing methodologies. Israel (left) with an Academy scholar. A 2018 Bowie State University graduate, Israel first worked with Bulldog Scholars Academy in 2016 when he assumed the role of Senior Mentor. He has remained connected with the Academy and Scholars Studio since, serving as a Consultant and Mentor.